3 ways that biodiversity drives sustainability goals. By Ian Boyd. In an earlier blog I talked about the central significance of biodiversity, and the reasons for a positive re-evaluation of its relevance to our own human ecology, in the places we build and manage for life, work and play. Now we’ll take a look at methods for delivering sustainability gains by boosting urban biodiversity. Why is every green space flat? It’s the tyranny of maintenance. We create urban spaces to suit a preset maintenance regime rather than to support a way of living and working. The urban volume is enormous and yet we leave it empty. We have from a metre down to 100m up to play with, a space that could be punctuated with spikes of ecological density connected by ranging space for mobile species. Once we start to better occupy that 3D space we increase structural complexity and that drives gains in biodiversity but at the same time improves thermal stability, water conservation, air quality and more. Lumpiness reduces landfill too, for example by reusing cut-and-fill, waste wood, brick and concrete rubble to fill raised ‘winter barrows’ for overwintering mammals, reptiles, amphibians, improving the provision of lifecycle resources in urban green infrastructure and increasing, surface area, soil depth and landform complexity for heat and rain storage. Urban planting (as agronomy) has degraded and simplified foodwebs by limiting choice to a few favoured mixes. We can add ecological complexity without resorting to nettles (there are plenty of nettles) simply by swapping half of the standard municipal landscaping plant mix used in beds and borders, green roofs and green walls, for a cheaper, more visually appealing and more edible complement. This will provide roots, foliage, pollen, nectar, seeds and fruit for small wildlife, increasing ecological density, boosting pollination services, increasing public wildlife encounter, improving bioremediation, biological control and nutrient cycle stability, less fertiliser, less herbicide, less maintenance traffic, more social value. 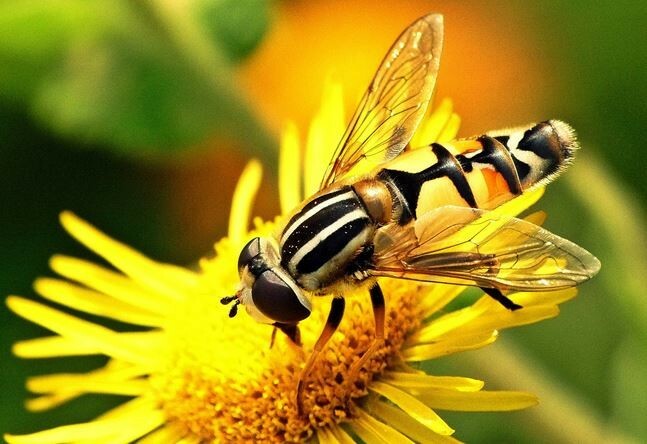 Let’s have flowers for short-lived adult insect stages (in all their seasonal variety) but the protein-packed vegetation needed to sustain the much longer-lived larval stages in moths, butterflies, hoverflies and others. Add in refuge space for pupating and overwintering and a few micropools and we can deliver giant uplifts in habitat complexity folded into tiny patches of the urban realm. Wildlife encounter is good for us, landscape and mindscape inevitably merge, and the richer the biodiversity the richer that experience becomes. By establishing habitat complexity into patches of high-quality urban design we can efficiently populate the built environment with biodiversity hotpsots, set at distances meaningful to people and to wildlife. For example, we can reduce maintenance costs and chemical inputs to the environment by deliberately and strategically incorporating the smallest terraformers into our built landscapes, a panel here, a rooftop there. Bryophytes, lichens, biological crusts, the things we relentlessly scrub from our hyper-clean architecture, sequester carbon, capture airborne particulates, ameliorate heat island effects and build simple ecosystems from which to grow functional urban ecologies. Or an urban planter, slightly tweaked with designed niches and stuffed with edibility becomes an ecological microcosm; put another within 150m and the highly mobile insect species will spread; repeat across a city and we build a functioning network that we can plug into parks, gardens and greens as we go, and because it’s all portable, we can move it about and make new networks. London’s National Park should be starting now in exactly this way, priming the city for the great work to come. The point is that these stepping stones can double as landmarks, as orientation features in human space, as meeting places sustaining and enriching social discourse, as contributors to cultural meaning.